QR codes are sneaky. Those nifty black and white squares show up when you aren’t looking for them—in bathroom stalls, on street signs, on Kylie Minogue’s coffee cup. Quick Response. That was an easy question. 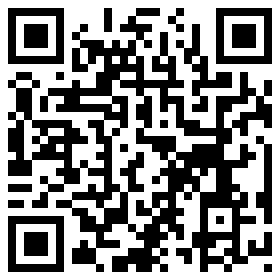 QR codes were made by Denso Wave, a Japanese manufacturer of automatic data capture equipment. They were created in 1994 to track car parts, but are now being used on everything from concert tickets to street signs to tombstones. A Japanese company, Ishinokoe, offers tombstones with QR codes. Visitors can access a mobile site with family information, photos, videos, a guestbook and more. If you’re worried about randoms creeping on your QR code, don’t worry. The code is hidden behind a “Memorial Window” that only family members have access to. QR codes can handle all kinds of data, including numeric and alphabetic characters, symbols, binary, control codes and Japanese characters. It can hold 7,089 numeric and 4,296 alphanumeric characters. The more data contained in the code, the bigger it will be. But as long as it can be read from a mobile phone, it’s the right size. So if you if want to place a code on a billboard, don’t make it so small that drivers have to pull over and run across a ditch in order to scan it. That said, not everyone abides by these silly rules. For its 100th birthday, Audi assembled a 159 square metre code, made up of 130 staff members holding panels over their heads. They claim it’s the largest in the world. Some other guy mowed a 160 square meter code in his field, but it’s a Semacode, not a QR code. I’m including it anyway, because it makes crop circles seem so yesterday. Which they are. When’s the last time you heard about a crop circle in the news? What’s up with the little squares? QR codes are magical because they can be read from any orientation. The squares are position detection patterns, which allow for 360 degree, stable, high-speed reading. Barcodes are fine for fruit and veggies, but not for web addresses, plain text, contact information or images. Barcodes are classified as one-dimensional, with vertical stripes representing a series of numbers. QR codes, the more sophisticated cousin, are two-dimensional. They carry information both horizontally and vertically, which means they can encode the same amount of data in about one-tenth the space. Cool! Can I get a QR tattoo? 1. Make sure it scans. If it doesn’t, you’ll look like a poser. Or a loser. Or both. 2. Make sure it gives the correct information. We’ve all heard stories about someone getting “Wisdom” tattooed in Japanese characters, but later finding out it means something completely different, like “Mullet.” Just imagine how fun it would be to live with an incorrect URL on your arm—”404 error” is not something you want to be forever associated with. Do they all have to look the same? Nope. You can make them in any colour, as long as they’re contrasting enough to scan. You can also customize them with your brand—QR codes have up to 30% error correction capability, so you can insert your logo or image within the code. That way, you can tell codes apart and people can know what they’re scanning. Very! According to a JumpScan infographic on Mashable, 57% of Facebook and Twitter users said they have scanned a mobile bar code at least once in the past year. As well, QR code scanning increased 1200% from July to December 2010.